The Champlain Valley Unitarian Universalist Society is an evolving, changing, growing institution. As the Society approaches thirty years of age, our goals and needs are different in many ways from what they were at earlier stages in our history. Yet those goals have always been, and continue to be, closely linked to our fundamental purpose. That purpose is articulated succinctly in a statement approved by the congregation in 2012: The Champlain Valley Unitarian Universalist Society (CVUUS) exists to spiritually nourish, challenge, and sustain people of all ages and circumstances, so that they might lead lives of meaning, integrity, and service. Charting a path consistent with our purpose requires visionary planning, with goals and objectives appropriate to the Society’s stage of development and to specific needs within the congregation and arising from our relation to the broader web of existence of which we are a part. We are now some ten years since the adoption of our last formal plan. In that time CVUUS has changed and matured in many ways. It’s time to take another visionary look at the directions toward which we, as a congregation, would like CVUUS to evolve in the remaining years of the current decade. This new plan, drafted by the CVUUS board for approval by the congregation, envisions CVUUS’s evolution in several vital areas, and looks at each through lenses of all generations, accessibility, diversity, and inclusivity. If implemented, this plan will build on our remarkable history and, if implemented, will further solidify CVUUS’s role as a permanent liberal religious presence, an institution that continues to spiritually nourish, challenge, and sustain people of all ages and circumstances, so that they might lead lives of meaning, integrity, and service. To attend to the health of the congregation as a living, growing body. To create and maintain a congregational culture where all who step through our doors are welcomed, accepted, supported, and encouraged in their spiritual journeys. 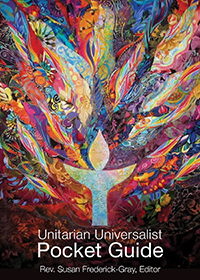 To develop and provide multiple pathways to strengthen and deepen participants’ connection and commitment to their own growth, to one another, to CVUUS and to Unitarian Universalism. CVUUS members and friends regularly gather during the week through a variety of formal and informal venues that foster deeper multigenerational social and spiritual connections. The ministry areas of CVUUS are supported by a clear organizational structure with defined responsibilities and lay leadership roles. Establish a task force to design a new congregational structure with clearly defined responsibilities and lay leadership roles. Establish processes where members can discern different ways they can contribute to CVUUS. Establish a formal congregational life ministry area that focuses on programs that foster care and connections between members and friends of CVUUS, including both new and existing members. Sustain and grow the use of the caring network as part of the congregational life ministry. Offer a periodic congregational retreat where members can “be in community” with each other for an extended period of time as part of developing both our social and spiritual connections. Establish a private Facebook group or other private online space where friends and members can remain connected throughout the week, ask questions and receive updates on social connections. Establish a “parents and kids night out” program where children have an opportunity to socialize across age groups outside of RE and parents have an opportunity to support each other and socialize on a regular basis. Financial stability is critical and foundational to everything we do and wish to accomplish at CVUUS. Having financial stability is not only responsible stewardship (put your own oxygen mask on first), but it also allows us to sustainably do good works. If we are unable to take care of our own long-term operations and our property, we will not have the ability to influence and effect change in the wider community. Goal 1: The primary goal of financial stability is to have a Capital Reserve Fund (CRF) the value of which is at least 5% of the value of our total capital assets (buildings, furniture, fixtures, equipment). The current estimated value of our assets is close to $2.5 million. Therefore, our financial goal is to have a balance of $125,000 in the Capital Reserve Fund. Develop opportunities to help congregants better understand the importance of financial stability to meet our broader mission. Make the connection when we present the budget at Annual Meeting. Utilize new member meetings and events to increase awareness. Connections can also be made through other activities that reach the congregation such as Sunday sermons and the newsletter. Include $25,000 in each operating budget to go to the Capital Reserve Fund. Determine what policies we need to create or change to support our work and help us reach our goal. Hold workshops related to financial and estate planning. Develop regular newsletter articles regarding planned giving. Engage the assistance of the Endowment Committee to help increase awareness of what is available. Goal 3: Annual pledges are diverse and are reflective of both an individual’s ability to give and the recommended ‘giving pyramid’ for a congregation our size. There is reduced reliance on a few donors to support the majority of the annual operating budget. Report on and show the giving pyramid to the congregation annually. Foster an environment that celebrates giving. The purpose of Social Action at CVUUS is to strengthen and nurture our connections with one another and the wider community, by creating opportunities for all ages to participate in activities that will transform our lives as well as the lives of others. By sharing our gifts and resources we will live out our principles and demonstrate the interdependent web in which we exist. These initiatives will increase the visibility of CVUUS to those who are strangers, while deepening the commitment of those friends we hold. We need to let our lights shine! Goal 1: Devise a process for identifying medium to long-term congregational social action projects. Monitor other congregational models of social action. Provide opportunities to the full congregation to give input and share ideas regarding social action. Goal 2: Market and celebrate ongoing social action projects as well as the introduction of new initiatives. Create a calendar of all events and opportunities available throughout the year. Publicize events and opportunities in the monthly newsletter. Post events and opportunities on the website. To ensure that people of all ages grow and flourish as human beings and as Unitarian Universalists through education, action, and reflection on their experiences. To provide members and friends as well as community members a broad experience of faith development and spiritual practice that begins in the primary grades and continues through adulthood. To equip all for leadership through the discernment and development of their gifts. We have a vibrant lifespan education program that offers multiple and varied opportunities for personal and spiritual growth and development. CVUUS is a known destination for growth and development for individuals throughout our community, not just members and friends of CVUUS. Maintain and enhance our current programs and activities for children, youth and young adults. Incorporate the RE long-range plan (being developed) into the “Lifespan Faith Development” plan. Expand the role of the RE Director to full time with additional responsibilities which will include management of the Lifespan Faith Development goals and tasks. Establish an adult lifespan RE task force to develop and implement goal as defined above. Adult lifespan RE task force members commit for 6 months, 1 year or for 2 years. Establish a 2-year baseline for the years 2013 and 2014; list offerings, facilitators and average attendance; gender and age ranges; data will be used as one way to determine how well we are meeting our goal. Establish a protocol that ensures that all offerings are consistent with our UU and CVUUS principles and guidelines. Survey UUA and other sources for programs we might purchase and offer as part of our comprehensive Lifespan RE program. Reach out to members and friends to determine who might be willing to offer a short term or long-term session or course; perhaps encourage co-facilitation. Establish an inventory of lifespan offerings, including leadership development; include sessions/courses that will be reoccurring annually, every 2 years, every 3 years, etc. Establish multiple paths leading to spiritual growth and leadership development including using technologies, alternative services. Establish an on-line Lifespan RE presence; registration for sessions and courses; links to on-line resources e.g., Spirituality and Practice, Beliefnet, Belief-O-Matic , Krista Tippet, etc. Use other resources available to us i.e., community members who would offer a course. Develop a five-year plan to accommodate the physical space needed for our growing RE program and developing adult programs. The purpose of worship is to provide the congregation with varied, coherent services that are spiritually deep as well as intellectually, existentially, and morally challenging. Moreover, our worship services provide a critical link to our CVUUS Purpose Statement. Worship is a core activity at CVUUS. As such, Sunday worship services have already achieved a high level of worship quality. Thus this section of the Plan speaks both to maintenance of that quality and to future innovations in worship. CVUUS will continue to provide the congregation with a variety of worship services that will explore a wide range of religious and theological views, spiritual practices, and questions of the human condition. There will be a diversity of guest ministers and laypersons with a breadth of viewpoints and preaching styles from within the congregation or from beyond CVUUS or even beyond the UU community. CVUUS will maintain an active Worship Team to work with the ministers, to assist with minister-led services, and to develop and deliver services on its own, with minimal input from ministers. CVUUS will establish such expanded or alternate services and methods of delivery if they prove feasible and desirable. Current examples of expanded/alternate worship include the Small Group Ministry program and Sangha. CVUUS will monitor the effectiveness of its services by regularly soliciting feedback from congregants. The Worship Team and ministers will incorporate such feedback into their worship planning. However, congregational feedback will be taken as guidance and not rigid prescription, and will in no way overrule the principle of freedom of the pulpit. All CVUUS services will continue to maintain the same high standards expected of professional clergy. Service leaders will be cognizant of the broad range of religious feeling throughout Unitarian Universalism, and will make every effort to be as inclusive as possible in recognizing this diversity of religious viewpoints. Nevertheless, CVUUS congregants will be expected to recognize that not all services will speak equally strongly to them, and that congregants themselves need to be tolerant of, and to be willing to learn from and to grow spiritually in the context of religious and theological viewpoints that are not necessarily close to their own. To ensure the long-term maintenance of our facilities, provide the space needed for the growth of the congregation’s activities and help move the congregation towards carbon neutrality. Goal 1: Complete construction of the basement under the Sanctuary to further the goals of the congregation including social justice work in the wider community as well as our own goals for congregational activity. Space to include fellowship hall, commercial kitchen, elevator, open staircase, breakout space/ library, bathrooms including a shower, storage, and new janitor’s closet. Hire fundraising consultant to assess capital capacity of the congregation. Convene a building committee to assemble team and materials needed for construction estimate. Convene a capital campaign committee to raise the funds necessary to complete construction. Increase administrative budget to allow time for additional work during and after construction. Set social action and congregational life programs in place now that we can carry into the new space. Goal 2: Maintain our facilities in a way that respects and cares for the environment around us, strengthens the CVUUS community and is proactive in taking care of problems before they grow and become more expensive. Build a solid capital reserve fund for responsible maintenance and improvement of our facilities. Continue and build on “Blue Jean Sunday” workdays with active congregational participation. Maintain a comprehensive list of projects, goals, and tasks with timeline for funding and completion. Give tours to build congregational understanding of the importance of caring for our buildings and grounds and to build congregational understanding of the green features of our facilities. Goal 3: Provide improved accessibility for those with mobility issues by establishing new transportation options, parking, and/or drop off areas. Talk with the town of Middlebury about future construction projects on Charles Ave. Create task force to explore costs and benefits of different accessibility options. Goal 4: Establish a memorial garden and/or other outdoor place for contemplation and meditation. Survey congregation as to important elements of this garden. Coordinate with building committee and landscape committee regarding location and design of new outdoor space. Goal 5: Reduce our carbon footprint at 2 Duane Court and help the members of the congregation move toward carbon neutrality. Explore costs and benefits of renewable energy options and locations. Monitor energy use and examine cost and options for improving energy efficiency over time. To increase the number of Unitarian Universalists in Vermont and in particular at CVUUS. To recruit new members by several means, especially by a large and effective presence in our community. To participate in functions and events by others. To sponsor activities. To actively and purposefully participate in our community, both local & state. To use our actions to seek new members to join CVUUS. Goal 1: Be visible, active participants and initiators of community activities, both as a congregation and as individual members, not just in Addison County, but throughout Vermont. Further what has already been started by CVUUS with the idea of doing good deeds and spreading the word that CVUUS is a real participant and mover in the community. Examples already accomplished by 2014: Recreation of March on Washington and following service in Middlebury, health speaker & seminar, gun discussion and buyback, Pete Seeger observance and later the Pete Seeger sing festival, Rhubarb Festival, youth group community initiatives, minister active in local clergy association. Goal 2: Increase membership in CVUUS by actively reaching out to and for new members. Demonstrate that CVUUS is a real player in the community. Goal 3: Provide sponsorship, leadership, and space for local community programs, services, education, stewardship, and ideas. Goal 4: Continue to donate half the basket to organizations doing good works. Continue to explain and promote these organizations. Goal 5: Purposefully initiate community activities, events, and functions that further the good works of CVUUS. Goal 6: Provide space for community functions, meetings, our sanctuary, kitchen, dining, living areas. Goal 7: Encourage and sponsor CVUUS youth and friends to active community action. Encourage all of CVUUS and friends to be proactive, to think up ways to make our community and the world a better place. Goal 8: Recognize CVUUS and friends for the good works we all do. Goal 9: Put some purpose and meaning in our individual lives by action and effort. Goal 10: Publicize CVUUS activities, events, and who we are in as many ways as possible, including print, airwaves, ocean waves, the cloud, and vocal cords. Not to be shy about who we are. To make sure all know who we are.